Following the 100-Year Flood in 2013, the client was looking for a new patio space and hot tub area as well as correcting and preventing drainage issues that arose. A large channel drain along the entire backside of the house and multiple grade transitions using walls and pathways allowed us to connect and enhance the client’s landscape and alleviate their drainage concerns. A massive patio space off of the back door opens up into the rest of the yard and down a winding path with access to the hot tub and planter boxes for native shrubs and perennials. 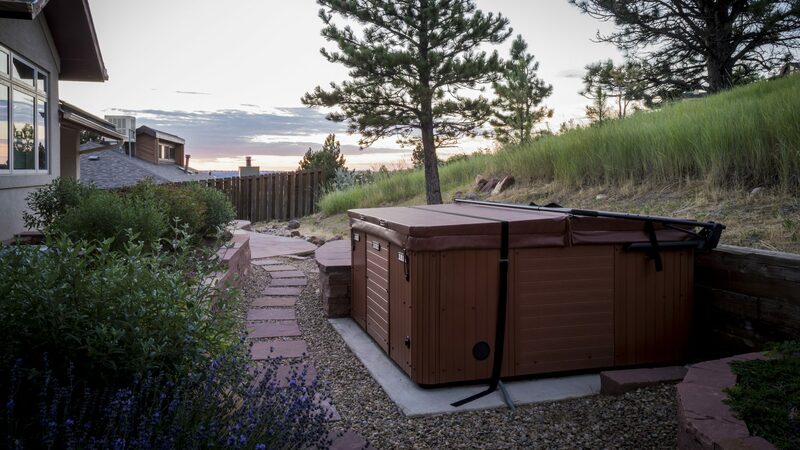 Tying it all together is the recognizable and natural tones of Colorado red flagstone. By the end of the project, the client had a beautiful new backyard space and no more worries during rain storms.